September is here! It’s back to school, back to the regular schedules, and back to the conferences. To help you keep track of everything going on this month, below you will find the top eCommerce trade shows happening this month. The 2018 Sellers Conference will take place at the Motif Hotel in Downtown Seattle. The unique aspect of this conference is that it focuses on family businesses and small business entrepreneurs. These individuals and companies can benefit tremendously from the right information from the right experts, and The Sellers Conference is a platform that allows this to happen. 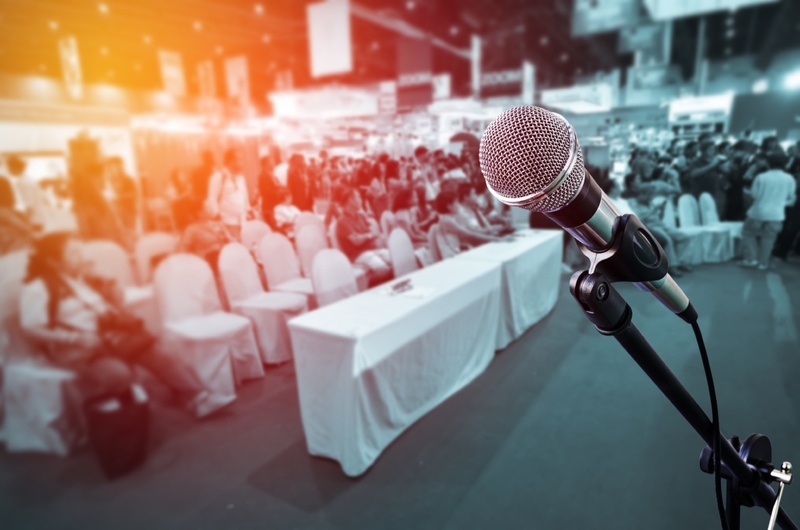 With a proven track record of helping businesses increase their sales and bringing in some of the top experts to share their insights, this trade show can be greatly beneficial for small businesses. The 2018 ROI Revolution Summit will be held on September 13th and 14th at the Umstead Hotel & Spa in Raleigh, NC. Join ROI Revolution for an exclusive eCommerce event offering an opportunity to engage with some of the marketing industry’s leading experts and top performing companies. This year’s lineup features speakers from Google, Facebook, and Snapchat, along with many other accomplished eCommerce experts. The 2018 Shop.org Retail’s Digital Summit will take place in Las Vegas, NV from September 12-14. The annual eCommerce event is expected to attract over 5,000 attendees and have over 280 booths where individuals can absorb the latest technology solutions, proven digital tactics, and inspirational new ideas. PARCEL Forum 18 will be taking over Chicago from September 24-26. This conference was created for supply chain professionals who are dedicated to establishing successful and efficient parcel fulfillment systems. This conference is exclusively dedicated to sharing knowledge and insight on the delivery, distribution, packaging, warehousing, and shipping of packages.